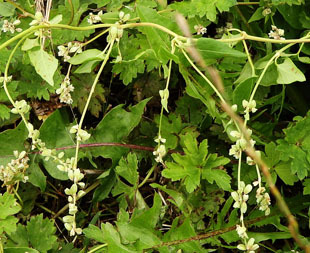 It grows throughout the country. 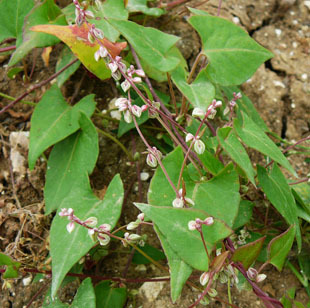 Black-bindweed grows on cultivated ground and waste ground. 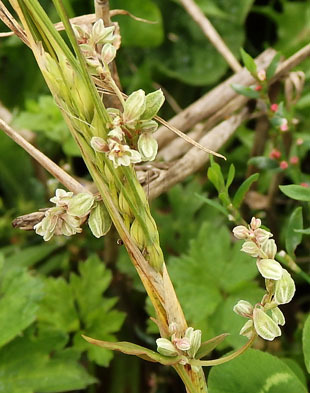 Flowers are small, green, brown and white, in loose spikes. 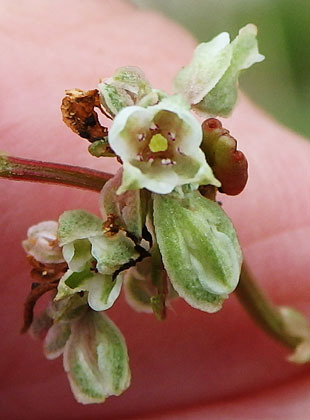 The flowers are small and made up of 5 keeled, perianth segments. 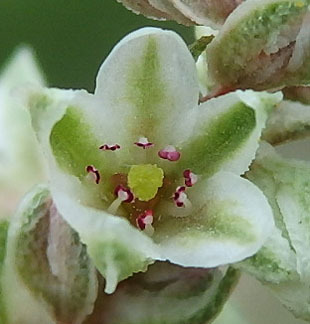 There are 8 stamens and a 3-part stigma. 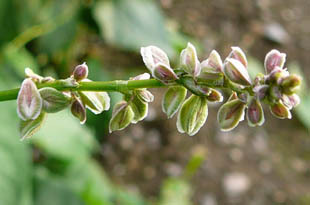 Leaves are arrow-shaped and up to 6cm. 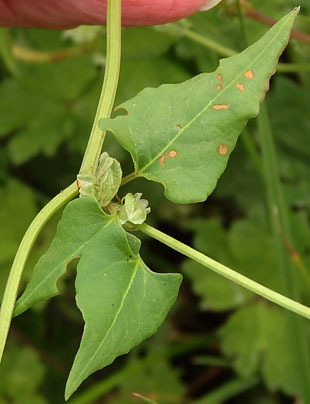 Stems twist clockwise (cf the true bindweeds - Convolvulaceae).